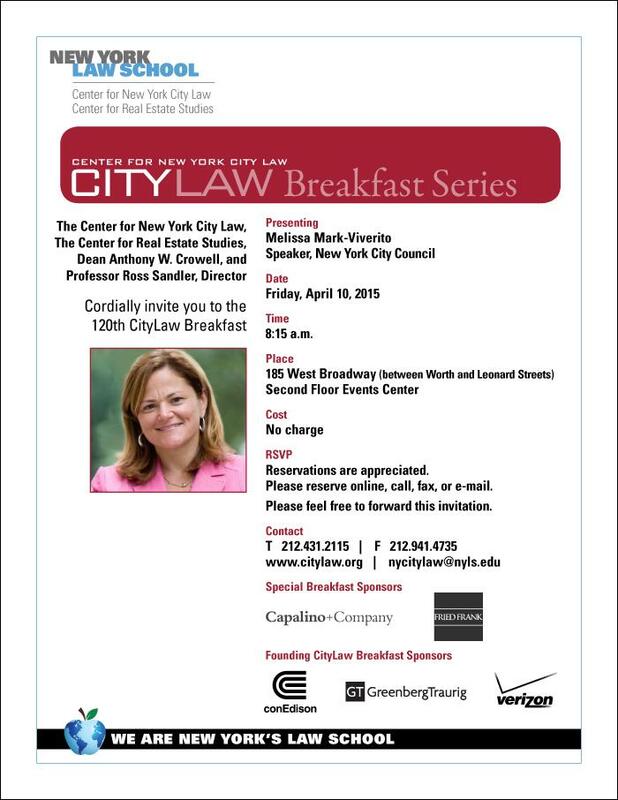 Please join Capalino+Company at this exciting event on April 10, 2015 featuring New York City Council Speaker Melissa Mark-Viverito who will give the keynote address. This event is hosted by New York Law School’s Center for New York City Law. RSVP: Cost is free, but reservations are appreciated.